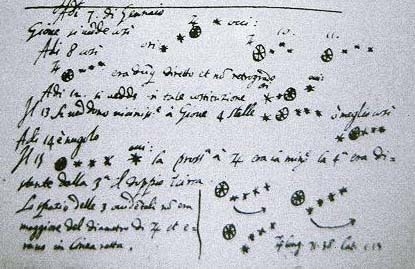 Galileo lived at about the same time as Kepler (they did their most important work around 1600-1610) and exchanged letters with him. 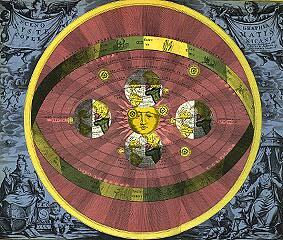 He made a number of fundamental contributions to our understanding of the solar system and the laws of physics. See http://es.rice.edu/ES/humsoc/Galileo/. 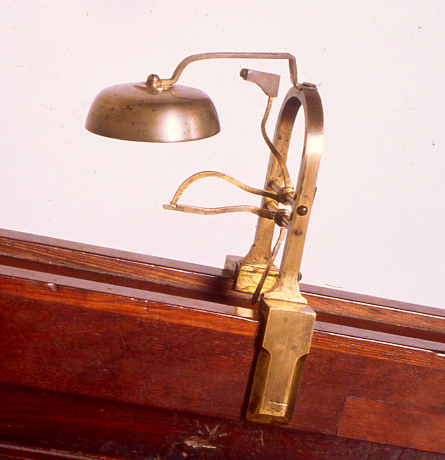 He introduced the idea of making measurements or experiments to understand how things happen. 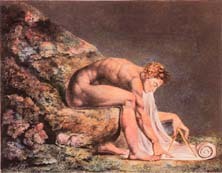 Pure logical thinking cannot yield us any knowledge of the empirical world; all knowledge of reality starts from experience and ends in it...Galileo saw this, and particularly because he drummed it into the scientific world, he is the father of modern physics - indeed, of modern science altogether. Galileo's greatest contribution to physics (after the notion of doing experiments at all) was his studies of the motions of objects. He rolled balls down an inclined plane to "slow down" their falling and study it. 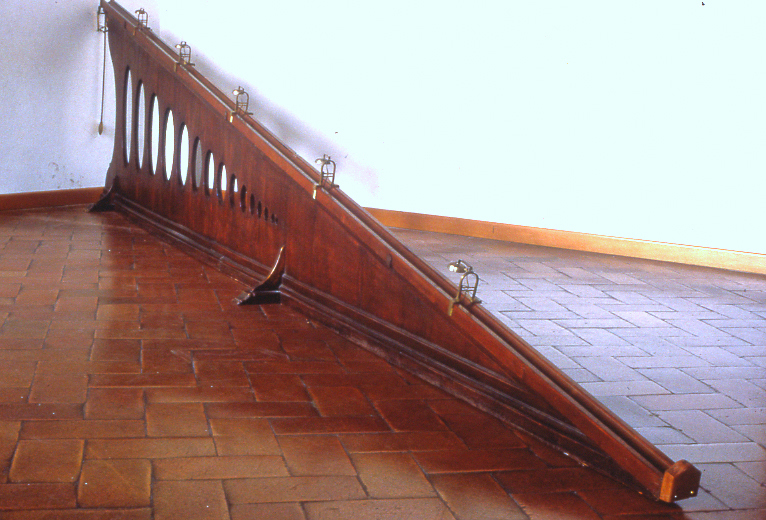 In this re-creation, the plane is equipped with bells arranged so they would ring as the balls passed. By adjusting the positions of the bells, he could compare with time standards (perhaps his singing!). (It is not known that Galileo did this exact experiment. )(Pictures from Museum of Science, Florence). 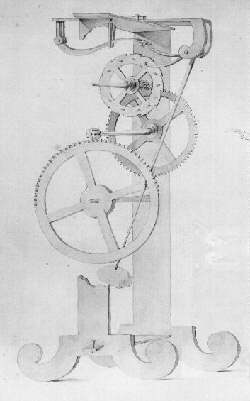 He also recognized the value of the pendulum for accurate time keeping Pendulum clocks set the standard for accuracy for centuries. He developed the concept of inertia: if an object is at rest, it will stay at rest unless something acts upon it to move it. Similarly, if an object is moving in a straight line at constant speed, it will continue to do so unless something acts upon it. This realization had escaped people because friction is so prevalent and it provides a force that usually causes moving objects to slow down. These observations (stars in the Milky Way, geologic structures on the Moon, sunspots) dont provide any test for or against the Copernican model of the solar system. However, sunspots, for example, do provide evidence that the heavens are not perfect and unchanging as described by Aristotle, Ptolemy, and other ancients. 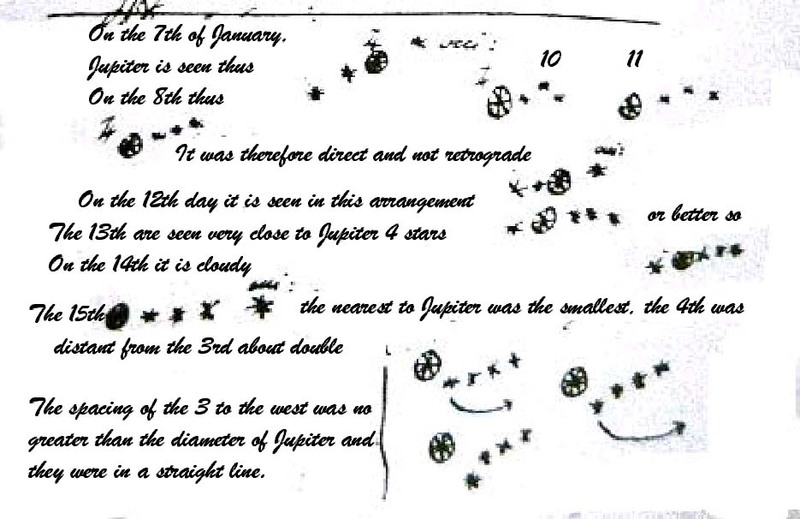 The moons that Galileo observed orbiting Jupiter again did not prove the Copernican concept, but they appeared to support it indirectly. They proved that not everything orbits the Earth. Furthermore, Jupiter and its moons actually look like a miniature solar system in many respects. The fact that Jupiter can move through space and not leave its moons behind supports the concept that the Earth can move without leaving its moon behind. 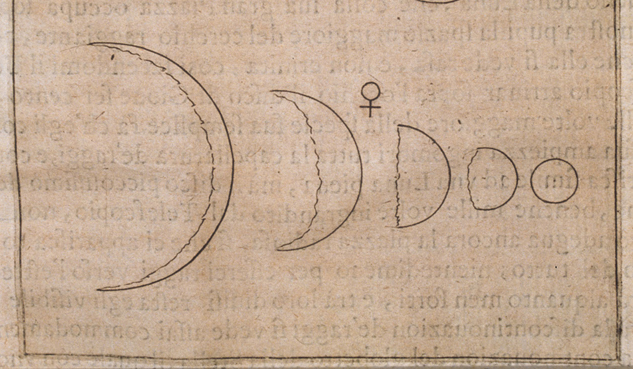 The phases of Venus were a convincing demonstration of the heliocentric solar system, or at least that Venus comes between the earth and sun as it predicted (and contrary to the Ptolemaic system). They result from its position in the solar system between us and the sun. Mercury also exhibits phases but its much harder to observe than Venus. 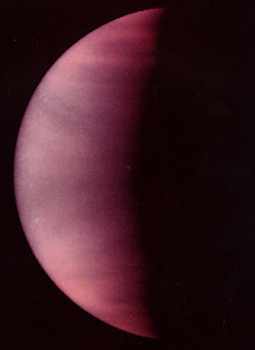 The Ptolemaic system could explain only some of the phases exhibited by Venus. From Scott Anderson, copyright open course, http://www.opencourse.info/ Watch in the animation as Venus (the purple dot in the right panel) comes around the sun and goes between it and the earth. But Galileo was not able to put the above facts together with Keplers Laws to come up with the final explanation of why the planets move as they do. 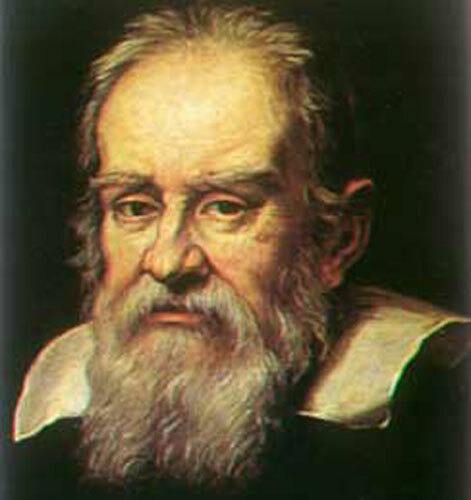 However, the combination of Keplers Laws and Galileos observations provided the death knell for the Ptolemaic System. Galileo realized this, but his over-zealous promotion led to the famous conflict with the Catholic Church. As discussed in this link in more detail, many of the problems arose because both Galileo and the Church mixed science and politics (in this case, religious politics). Doing so seems always to lead to trouble. In fact, at the beginning, both parties agreed that the Copernican system was useful as an idea and that it could be explored as a scientific hypothesis. As time went on and Galileo became more adamant about promoting it as true fact (which he could not establish), the conservative members of the clergy who were concerned about the implications for Church teachings and the status of them reacted by trying to restrict Galileo's statements. He counter-reacted by making them more and more vehemently. If Galileo had stuck to his science, and the Church had let him, then history might be different.